In a bid to provide an easy finance options to students for short-term courses across all training centers in India, Kissht, a fintech start-up, has joined hands with VIVO Healthcare (VIVO). Kissht is one of Indias promising fintech EMI payment and digital lending platforms while VIVO provides skill based employability training for the healthcare industry. This agreement will help students who want to pursue a career in paramedic and allied healthcare courses. The uniqueness of this offering is that students will get easy finance without submitting any collateral. With this easy finance loan options, students can now opt for courses like Emergency Medical Technician, Dialysis Technician, Dental Assistant, X-Ray Technician, Radiology Technician, Cardiac Care Technician, Medical Lab Technician, Operation Theatre Technician provided by VIVO. In addition, VIVO, which has training centres in 35 cities across 18 states, offers much community based healthcare training programs such as life support, emergency response, and health & safety courses for schools, corporates, hospitals and government bodies. Educational loans are a key driver to enabling more and more students to access quality skill based training and thereby getting employment in the fast growing healthcare industry. 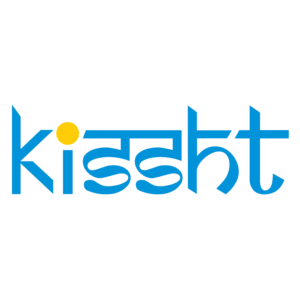 Kisshts innovative credit scoring platform will allow many first time borrowers to access loans for their educational requirements across all our training centres, said Mohit Mehra, Chief Operating Officer, VIVO Healthcare. How to prevent diarrhoea this summer?